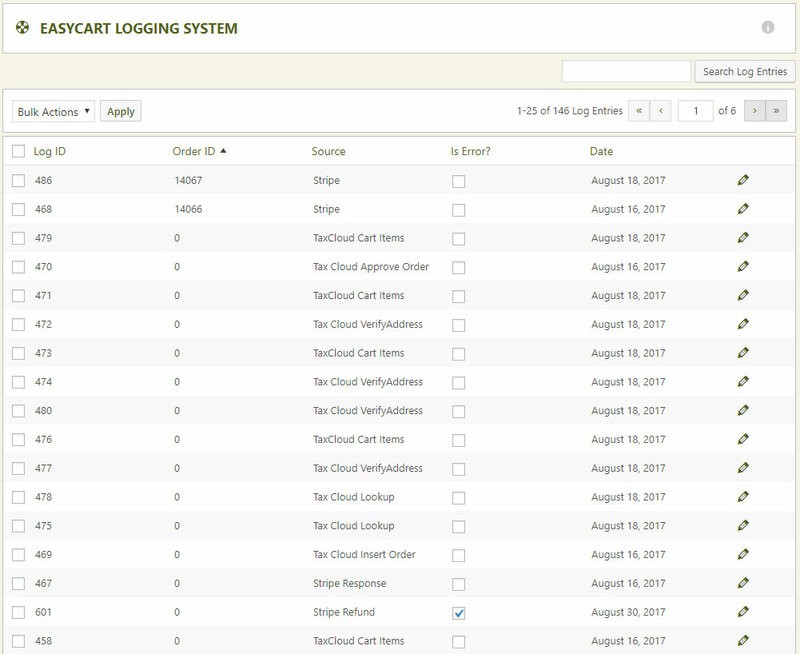 Log entries are a way for EasyCart to collect and track various API and error handling throughout the eCommerce system. Log entries can come from the various shipping API systems such as UPS, FedEx, and USPS, or the payment gateways during each request. We also have tax API integration with TaxCloud and can see the various communications back and forth between your store and the API. Each log entry contains an attached order ID IF it was placed with an order. If the call is made from other sources such as shipping or tax calls, then it will remain 0 zero. You may view each log entry/response and review the data. Often, failed payment gateway responses are good to look at what is actually being returned from the gateway. 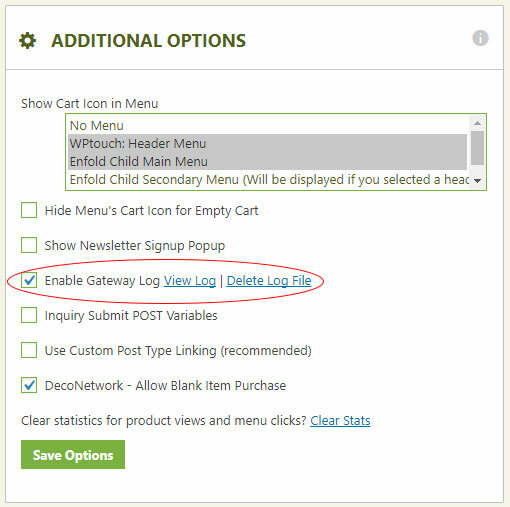 It is a good idea to turn off logging when you go live with your site so that the log response information can not be saved or viewed. Often there is sensitive information such as transaction IDs and other various information in these responses, and it would be wise not to save this information when live. You may turn off logging and even delete the log file by going to ‘Settings -> Additional Settings’.